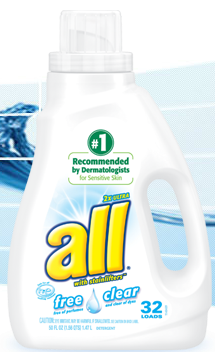 There’s a Super Hot $3.00/2 All Laundry Products Coupon. Head over to their Facebook page and take the Fall Allergen Pop Quiz (It only takes a few seconds) then you can print this awesome coupon. Not only is this coupon good on Laundry detergent but it can be used on Dryer Sheets as well because the coupon stated “Laundry Products” not just detergent. So hold for Super Saturday at Dollar General if you want to score some possible free Dryer sheets. I really need a DG. Just heard that the CVS Store in Seminole, Florida is putting the All Detergent Pods on Sale today for $1.00 each… was $4.00 on Sunday, due to big overstock. The store is located at the corner of 102nd ave and Seminole blvd. But they are not accepting coupons with them. Per the Store Manager. how to take the quiz? can find it on the fb page? ?